We are excited and pleased to announce that from January 2017 Sanitair Standard and Premium Services can be purchased through The Good Guys stores nation wide. 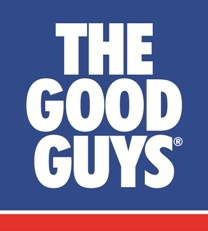 The next time you are in your local Good Guys store, ask a friendly staff member about concierge air conditioning cleaning services. Add a cleaning service for 12 months time when you purchase your air conditioner from The Good Guys. 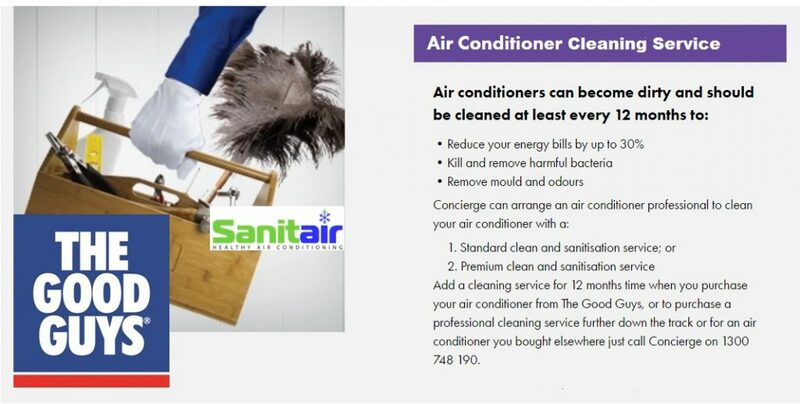 Purchase a professional cleaning service further down the track or for an air conditioner you bought elsewhere, Free Call Sanitair Australia on 1800 130 168.